The gravity of the situation demands that we should free ourselves from all scruples which certainly no longer have justification. The order to wage “unrestricted submarine warfare” against all maritime assets of an enemy was issued, and pursued with vengeance, during the First and Second World Wars. What is often overlooked in casual or academic studies of this aspect of naval warfare are the direct impacts of attacks against the soft underbelly of economic and industrial assets. Slow, predictable, and vulnerable, merchant ships stand as a vital lifeline of a nation’s industrial and economic capacity. 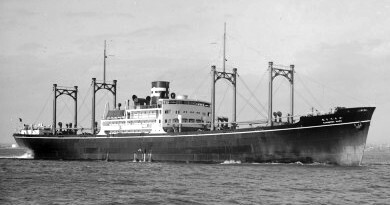 With tankers carrying oil and other petroleum-based liquids, freighters handling bulk dry goods, and former passenger liners ferrying troops, contractors, and other personnel, the vessels that were so useful in wartime were similar in function to their counterparts plying the oceans today. As potential targets in submarine warfare, merchant ships typically were of little immediate value to submarine skippers. Their primary targets during both wars were initially enemy surface combatants and submarines. The logical way to blunt a nation’s ability to wage war would be to deprive it of the very tools of belligerence. As with any aspect of warfare, however, what is theory at the commencement of hostilities rarely remains a fixed reality, due to rapidly shifting capabilities and priorities on the tactical and strategic levels. The Atlantic menace posed by the early German U-boats was not a consistent threat to all nations from the start of the First World War on 28 July 1914. 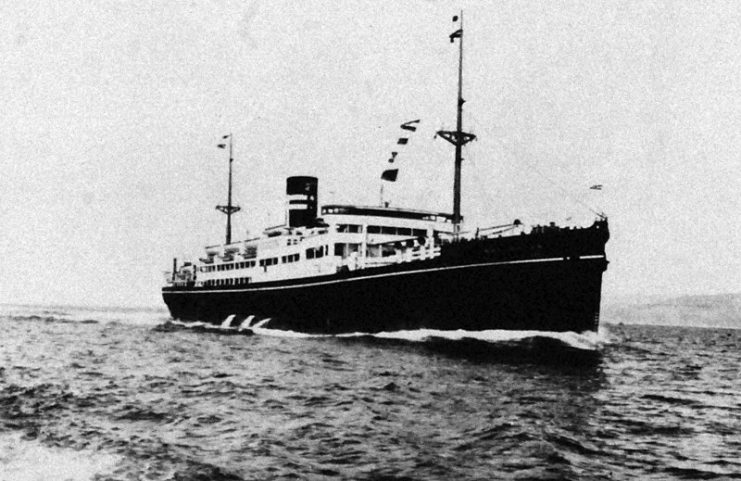 Reluctant to risk drawing in neutral nations such as the United States, the Imperial German Navy initially avoided implementing U-boats as commerce raiders. However, as the war progressed and a German victory became questionable, the necessity of targeting merchant ships en route to Great Britain became clear. Starting in the beginning of 1915, the Imperial German Navy began to target any and all shipping in British waters. The sinking of the RMS Lusitania on 7 May 1915 drastically changed American public opinion towards the distant war in Europe. 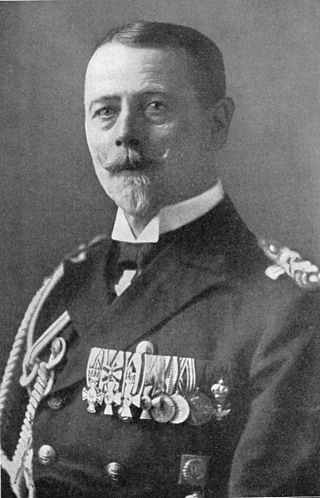 Germany was forced to sign the Sussex Pledge on 4 May 1916, altering its approach toward attacking merchant ships. This diplomatic promise proved to be short-lived: by early 1917, Germany recommenced its campaign of unrestricted submarine warfare. By the end of the war, German U-boats deprived the Allied nations of 5,000 ships totaling over 12 million tons. During the Second World War, the Atlantic Theater of Operations once again highlighted the potential for submarine warfare to nearly cripple Great Britain’s economy. The situation was dire indeed: every week, merchants unloaded all British oil imports, the majority of all raw materials for wartime production, and nearly half the food for the nation. So chaotic was the Battle of the Atlantic, that present-day calculations vary from 1,315 to 3,663 merchant ships lost to U-boats from 1939 to 1945. 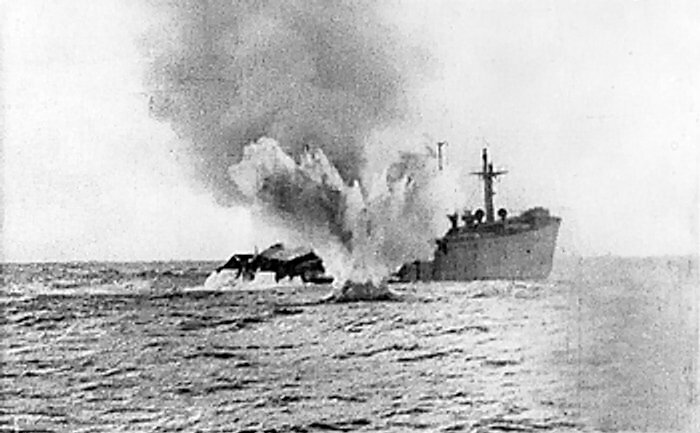 Most estimates agree that around 14 million tons of Allied shipping were lost during the Second World War, with 1942 accounting for over 40% of merchant losses for the war. A Ship of Britain’s Merchant Fleet. Fast Diesel Refrigerated cargo liner. In the Pacific, the situation was similar once the United States entered the war. Japanese shipping losses to all Allied forces were incredible, even by the war’s standards: 2,346 confirmed vessels sunk for a total of 8,618,109 tons of shipping. Of those losses, American submarines claimed 1,113 merchants, the British followed with 29, and the Dutch, 10. “Probable” losses–those not directly confirmed, but still attributed to submarine attacks–account for an additional 53 ships lost. Such numbers of losses during both conflicts are vague until contrasted with the relatively small numbers of submarines employed against merchant ships. During the First World War, the German Imperial Navy maintained a fleet of 351 U-boats, while the Second World War saw the Kreigsmarine fielding a staggering 1,154 boats. For the Allies, the First World War only saw 246 total boats in service. However, the Second World War was an entirely different matter: 288 American, 192 British, and 9 Dutch boats comprised the largest threat to Japanese sea lines of communication. For island nations especially, the import of raw materials critical for the uninterrupted production of the implements of war directly influenced strategic abilities and goals. Since both Great Britain and Japan were the centers of large empires at the onset of the war, the ships which brought the valuable resources necessary for the industries of both nations were deliberately and constantly targeted. Unlike Great Britain, Japan was greatly distanced from its fellow Axis powers, so they could offer little assistance or relief in the form of mutual protection and diversification of production. The lack of free flow of supplies, technology, and other key items hampered Japan more than Great Britain, but the loss of vital tankers brought the former’s war machine to a halt more directly. Loss of oil and gasoline-carrying tankers effectively grounded Japan’s air forces and stymied the offensive operations of their dwindling navy, often relegating both air and sea assets to suicidal actions which proved futile and wasteful of vital resources. More damaging in the long term was the price tag associated with the loss of shipping. Shortages of food were most felt in Japan. Combined with lower rice production in Korea, China, and the Home Islands, the Allied pressure on Japan’s infrastructure prevented the distribution of what little food there was available. Manpower shortages due to the increasingly desperate Japanese leadership becoming more aggressive in conscription, inflation of prices for basic household necessities, and the irrecoverable loss of trained sailors and their vessels all placed the Japanese in a position where their continued determination to fight was untenable. 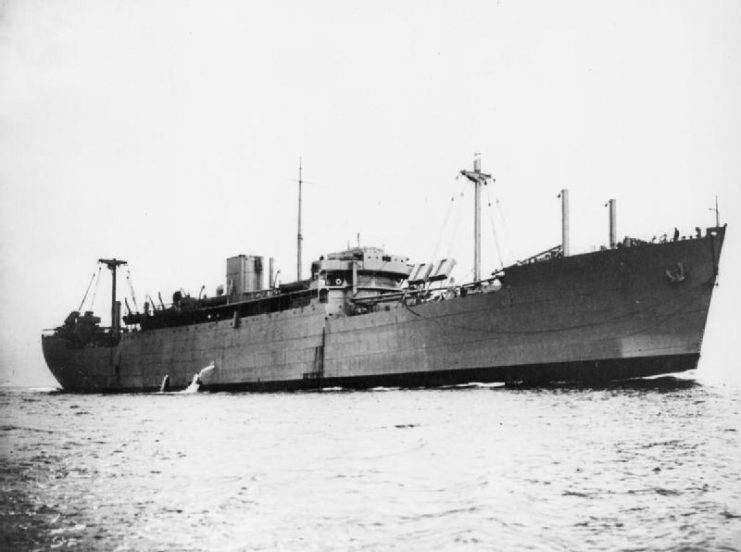 MV Canberra Maru was one of the targets of the British attacks during the Battle off Endau in January 1942. She was sunk by American aircraft near Guadalcanal, 14 December 1942. Japanese prewar estimates for shipping requirements for the duration of the war were 6 million tons. By the end of the war, Allied submarines alone reduced this number by almost half. 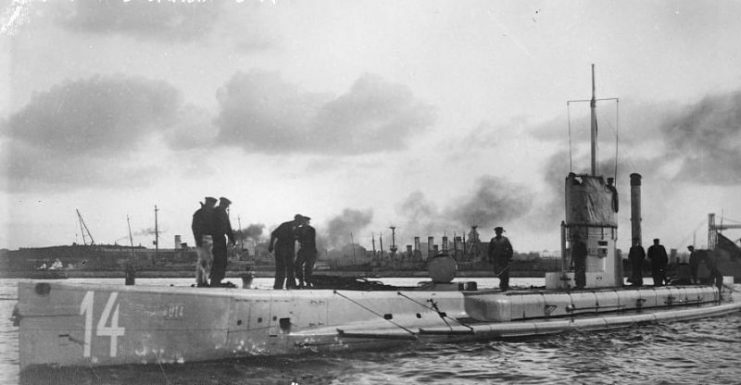 Learning from the lessons of the First World War, Great Britain proved to be more resilient to losses sustained from the German U-boat campaign in the Atlantic. 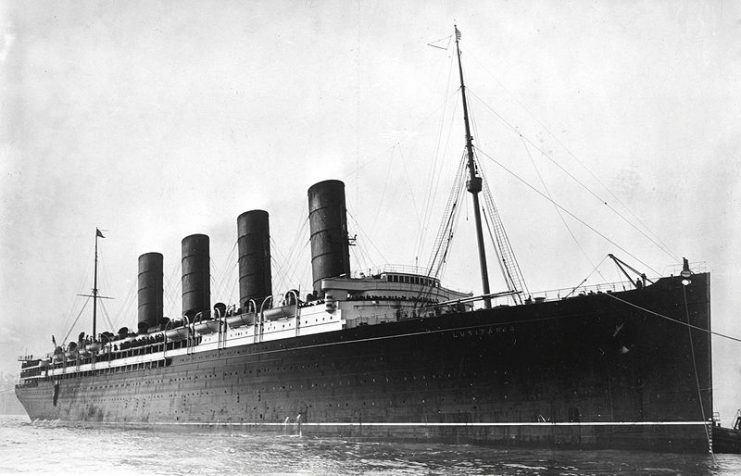 Though already strained economically by the Great Depression of the 1930s, the technological, military, and merchant assistance received by Great Britain during the war offset the maritime obstacle presented by the German submarine fleet. 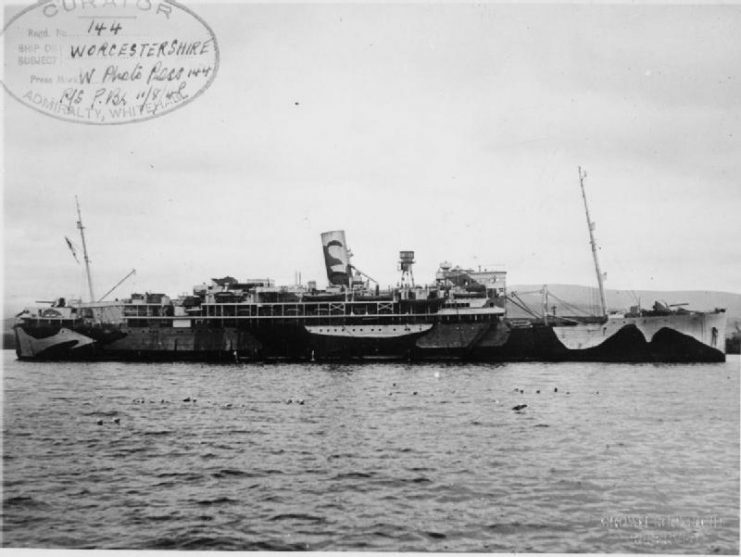 Ocean liner Worcestershire camouflaged and converted to an Armed Merchant Cruiser. With grand estimates of success in the form of 700,000 tons of Allied shipping sunk per month, the Kreigsmarine was only able to meet this goal in November 1942. After that, it was quickly defeated by increased American shipbuilding, loss of the protections from German Enigma codes and equipment, and rapid development of effective anti-submarine warfare abilities by British and American naval forces. 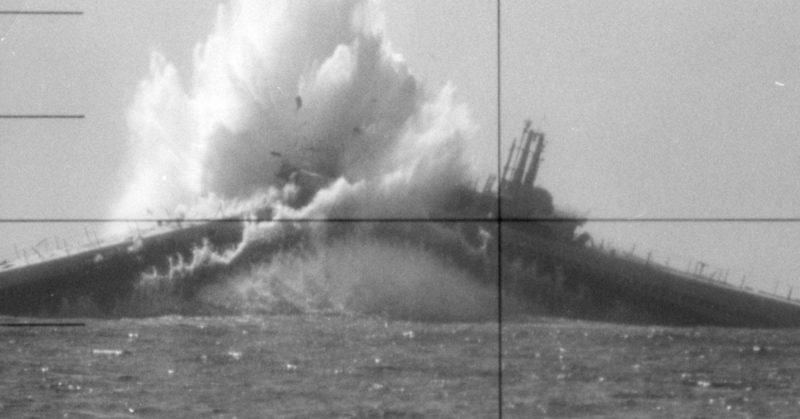 The issue of the effectiveness of unrestricted submarine warfare will continue to be debated and studied by academics, economists, and historians for years to come. What is undeniable, though, is the simple fact that this form of warfare – developed during the First World War and refined during the subsequent global conflict – forever altered national destinies and empires alike, with a return on investment which was as significant as it was effective.